The Youth unit within DG EAC has published recently a study on youth and social entrepreneurship. The EU and its Member States have been promoting entrepreneurial competences among young people as a pathway to taking an active part in society. The role of youth work in fostering entrepreneurial learning has been underexposed up until today. This report presents the findings of a major study mapping, describing and analysing the contribution that youth work makes to supporting young people in achieving competences that will help them to fulfil personal aspirations and become active citizens in Europe. On 12 & 13 December 2017, ENSIE was invited to the Peer Review on ‘‘Social entrepreneurship to tackle unmet social challenges" that took place in Oslo. The Peer Review discussed the current developments in EU Member States with regard to social entrepreneurship focusing on tackling unmet social challenges. Notably, participants discussed the efficiency and effectiveness of public support and schemes on social entrepreneurship, the importance of different actors working together to tackle unaddressed challenges by existing welfare schemes and how to involve people who have experienced poverty and exclusion. The Short Report of Peer Review on ‘‘Social entrepreneurship to tackle unmet social challenges" has been published on the Europa website. CIRIEC-CESE publication on "Recent Evolutions of the Social Economy in the European Union"
Measuring the weight of the social economy in each EU member country. The study, benefited from the help of 89 correspondents from the 28 EU countries and of Social Economy Europe. This Report shows that the European social economy provides over 13.6 million paid jobs in Europe, accounting for 6.3% of the total EU working population of the EU-28. The Social Summit gathered EU heads of state or government, the social partners and other key stakeholders for an open discussion on how to promote fair jobs and growth. The Social Summit for Fair Jobs and Growth focused on how to make the most of new opportunities and tackle common challenges for the labour markets and welfare models of today and tomorrow. By building on each country’s perspective and experience, discussions aimed to contribute to shaping a better future for Europeans. At this occasion, different related events were organised in Gothenburg. Conference - What role for social economy in the future of work? On 16 November in Gothenburg, the European Commission together with the European Economic and Social Committee, the City of Gothenburg and Region Västra Götaland will organise a conference regrouping a wide range of stakeholders from the European Social Economy ecosystem. 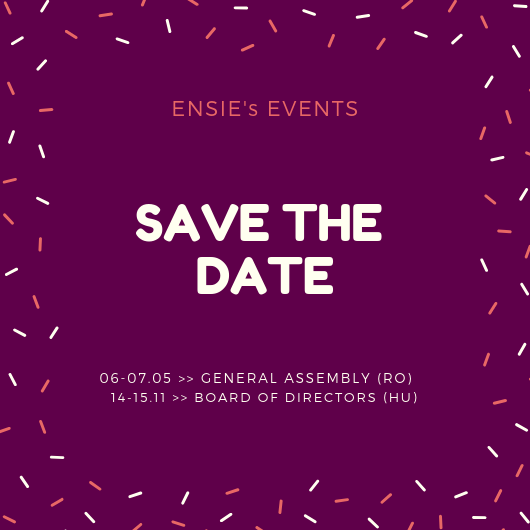 Social entrepreneurs and their representative organisations, policy-makers, and academics will be invited to participate, share good practices and present real life examples. In the margins of the Social Summit for Fair Jobs and Growth, the discussions will shed light on the potential of Social Economy to create growth and sustainable jobs, and achieve social resilience. In addition, a special focus will be put on the role of cooperative societies and on how to create favourable ecosystems for Social Economy to develop in European regions. Angela Achitei, President of Fundatia Alaturi de Voi, Romania (RISE member) represented ENSIE during the conference and shared its experience. How can the European Union help to promote socially inclusive societies? What challenges does it need to respond to in order to leave no one behind? What is civil society's role in helping to build a socially progressive Union? Side event organised by the Social Platform, in the framework of the Social Summit, with the participation of Angela Achitei. The exchange featured a panel of experts, including Member of the European Parliament Maria João Rodrigues, Mayor of Gothenburg Ann-Sofie Hermansson, Confederal Secretary of the European Trade Union Confederation Liina Carr, and President of Social Platform Jana Hainsworth. A question-and-answer format allowed the audience to voice their thoughts, opinions and concerns about how we build Social Europe. Conversations and debates then continued during the photo exhibition of inspiring social inclusion practices, where some ENSIE members were represented: ACT Group from Croatia and RISE from Romania. ENSIE participated to a survey from the European Parliament on the necessity of a European statute for social and solidarity based enterprises. Read our contribution in English or in French. On Tuesday 23rd May took place in Madrid the European Conference Social Economy, an enterprise model for the future of Europe, co-organised by the Ministry of Employment and Social Security of Spain, Social Economy Europe (SEE) and CEPES (Spanish Social Economy Confederation). The event was attended by more than 400 high-level representatives of 16 Member States, EU Institutions, EU social economy organisations and Spanish public authorities. 9 Member States -Bulgaria, Cyprus, Greece, Italy, Luxembourg, Malta, Portugal, Slovenia and Spain- adopted the Madrid Declaration, that calls on the European Commission to include a European Action Plan for the social economy, adequately financed, in its Work Programme 2018, and to strengthen the role of the social economy in the European Pillar of Social Rights and in the ongoing debate on the future of Europe. The governments of Sweden and Romania, that were represented in the event by Minister Ardalan Shekarabi and State Secretary Daniela Gheorghita Barbu, are planning to sign Madrid Declaration in the coming weeks. Madrid Declaration, demonstrates once again -following Luxembourg Declaration (December 2015) and Bratislava Declaration (December 2016)- the commitment of a growing number of Member States to promote the development of the social economy in Europe. Read the Madrid Declaration in English or in Spanish. To find out more about the work of social economy enterprises at local level, a delegation of Social Platform members, in which ENSIE took part, visited Madrid in Spain to learn what works and what doesn’t – and how the EU can support great activities being run on the ground. CIRIEC’s report on Social Economy: On behalf of the EESC, CIRIEC produced a new report “Recent Developments in the Social Economy in the European Union”. The report drawn up was produced with the help of 89 experts from the 28 EU countries, led by Professors José Luis Monzón and Rafael Chaves. Following the conference on social economy organised under the Slovak Presidency of the Council of the EU by the Ministry of Labour, Social Affairs and Family of the Slovak Republic, in cooperation with the European Commission, in Bratislava, Slovakia; the Bratislava Declaration was adopted by the following Member States: Cyprus, Slovenia, Romania, Italy, Slovak Republic, Luxembourg, Spain, Czech Republic, France and Greece. Read the Bratislava Declaration in English. Good practices Compendium “Boosting Social Enterprise Development” from the OECD and the European Commission DG Empl. This compendium derives its recommendations from the analysis of 20 initiatives in several EU member-countries covering a range of policy areas from legal frameworks, finance, market access, and support structures, to education and skills. The Commission published the Consultation on the Start up Initiative about social enterprises in August 2016. On 7th December 2015, the EPSCO Council (Employment, Social Policy, Health and Consumer Affairs Council of the EU configuration) adopted the first conclusions on “The promotion of the social economy as key driver of economic and social development in Europe”. Those Conclusions adopted by the Member States send a clear political message to the Commission and Member States in order to promote the social economy enterprise and organisation model, and to develop an appropriate institutional, legal and financial ecosystem for all social economy enterprises and organisations. Read the Council Conclustions in English or in French. ENSIE and its members supported Social Economy Europewith "ad hoc" actions addressed to the different national MEPs in order to obtain the re-establishement of the social economy intergroup". The 11the of December 2014 the Conference of Presidents of the European Parliament has officially confirmed the re-establishment of the Social Economy Intergroup. On November 17 & 18, 2014, the Italian Presidency of the Council organised a conference dedicated to the social economy. The Conference produced a set of final documents summarizing the debate and highlighting the main recommendations that stemmed from the discussion. In addition to the final declaration "The Rome Strategy", detailed working group reports are available, along with a document highlighting the main conclusions. These recommendations are an integral part of the Rome Strategy and should be considered as priorities to inform the policy debate and guide the actions on the Social Economy undertaken by EU Institutions and national governments. Please download them here. In the Social Business Initiative, the Commission identified the need to obtain complete information on the state and development of social enterprises in Europe and evidence for further developing the policy framework. Therefore, the Commission launched an in-depth study on social entrepreneurship, published in November 2014, mapping the reality of social enterprise in the EU 28 and Switzerland using a common definition and approach. The study gives an overview of social enterprise eco-systems across countries, including factors constraining their development. The Italian government, on the occasion of its presidency of the EU, has decided to launch a public consultation and organize a participatory and large scale event on the role of the Social Economy for EU growth. This initiative is particularly timely as it coincides with the start of the new legislature in the European Parliament and with the installment of the new European Commission. It thus has the opportunity to help influence the agenda for EU policymaking in the coming years. Patrizia Bussi participates in Social Platform’s delegation to the informal EPSCO meeting, meeting of Minister of Employment and Social Affairs. ENSIE produced the press release: "Social economy is now on the EU Labour Ministers’ agenda!" in order to underline the fact that discussions on social economy took place for the first time at this informal meeting in Milan of the EPSCO Council, under the Italian Presidency of the Council of the European Union. In January 2014, ENSIE and its members participated in the conference "Social entrepreneurs: Have Your Say!". The conclusions of the conference lead to the Strasbourg Declaration, summarizing the results of these two days of discussion and the future actions to implement in order to encourage the development of the social economy in the European Union. This declaration represents the point of views of the different stakeholders that participate. Patrizia Bussi, ENSIE coordinator also contributed to its writing. More than 865 persons have signed the Strasbourg declaration to support the place of social enterprises in the European agenda.